Open main compartment with double 21" handles. 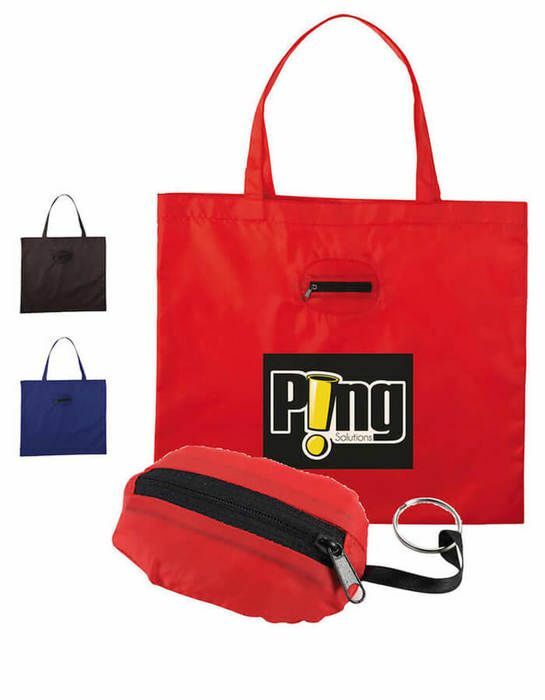 Unique foldaway function allows the bag to be folded, then gathered into a zippered pouch and carried on a keychain. Reusable and a great alternative to plastic bags.